Grammar Tip: Bored or Boring? I am bored. I am boring. Are these ideas different? The answer is: Yes, they're very different. 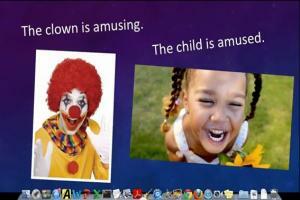 This free online lesson teaches you when to use "bored" and when to use "boring." After the lesson, test your knowledge with other similar words. 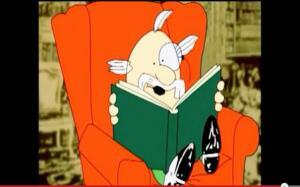 The present participle is often used when we want to express an active action. 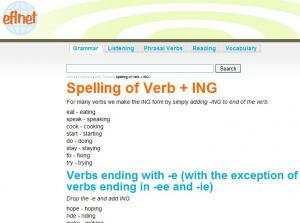 In English we add -ing to the infinitive of the verb. Watch this short, clear video to check your understanding and test yourself at the end with the practice questions. Use this resource to review your understanding of participles as adjectives. 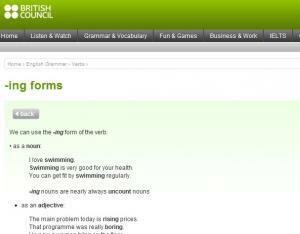 Some participles can be used as adjectives in either the present or past form. 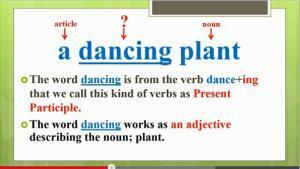 Look at the examples of the two tenses. 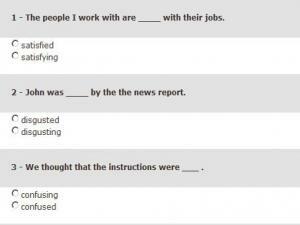 Then go through the exercises and choose the right form for each sentence. 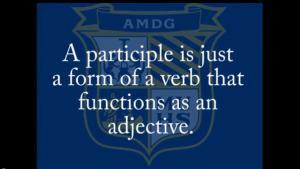 A participle is a word formed from a verb which can be used as an adjective. Look at the two types of participles (the present participle (ending ing) and the past participle (usually ending -ed, -d, -t, -en, or -n) and take the quiz to test your new understanding. 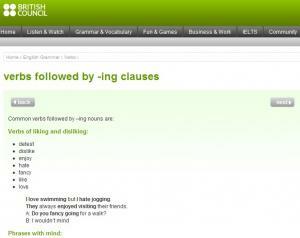 Participle clauses are a bit like relative clauses – they give us more information. 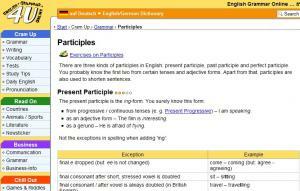 This is a short review of participle clauses and how to use them in the present and past tense. 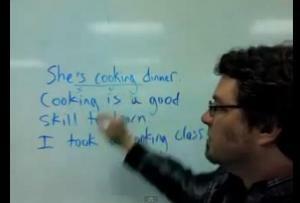 This video reviews sense verbs (see, smell, hear) and discusses why they are often accompanied by the -ING verb form. There is a difference between using sense verbs with -ING and without -ING verbs and this video is a clear explanation of the two uses. There are three exercises for you to practice after watching the video. This page explains how to form and when to use the past, present and perfect participles. There a several exercises for each form. The exercises tell you when you got the answers right or wrong. 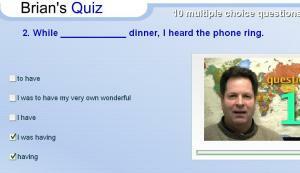 At the end there is a challenging set of "mixed" participle exercises. If you get these exercises right you have learned your participles well!